In this Newsletter we like to announce the 15% discount coupon for 2017 holidays. If you want to make sure your gift will arrive on time please order now. The rest of the Newsletter is dedicated to our beloved customers. I'd like to thank you all for the enormous support and appreciation for my work. It warms my heart and reinforces the feeling that we all belong to one big human family. 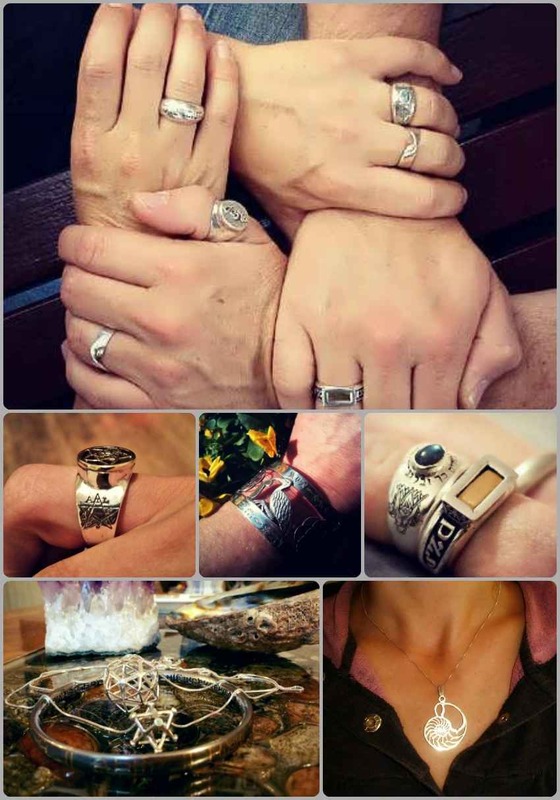 I'm always surprised by the overwhelming identification with the universal messages embedded in each piece of jewelry of people from such different places and cultures. Below, we are sharing a handful from the many beautiful testimonial we received this year. 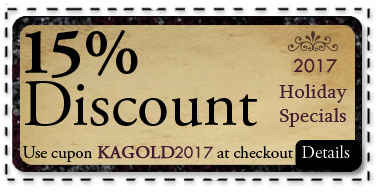 Validate the discount was implemented and continue. I received my order today. I forgot that I had it sent to my work address and it has been a welcome distraction! 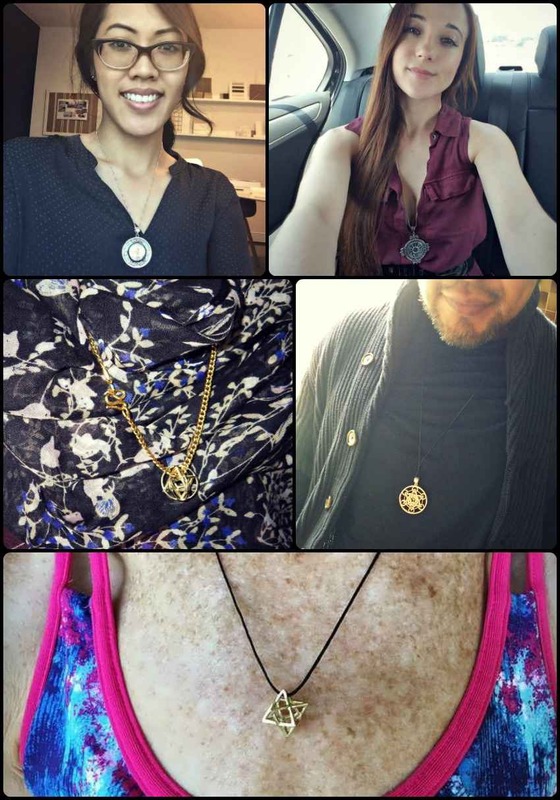 I'm wearing the pieces now (images attached) and I can sense their power. I'm having trouble taking my eyes off the abundance ring. 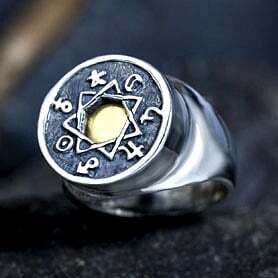 And the Jupiter-Spica talisman is beautiful, with quite a nice weight, and the gold in the center has a beautiful glow—a shimmery light. I appreciate the information about the origin and meaning of these works of art, too. I will forever treasure these pieces of jewelry. I hope to be able to add more of these special pieces to my collection in the not-too-distant future. Thank you so much for your excellent customer service and please thank David for his beautiful and meaningful work. 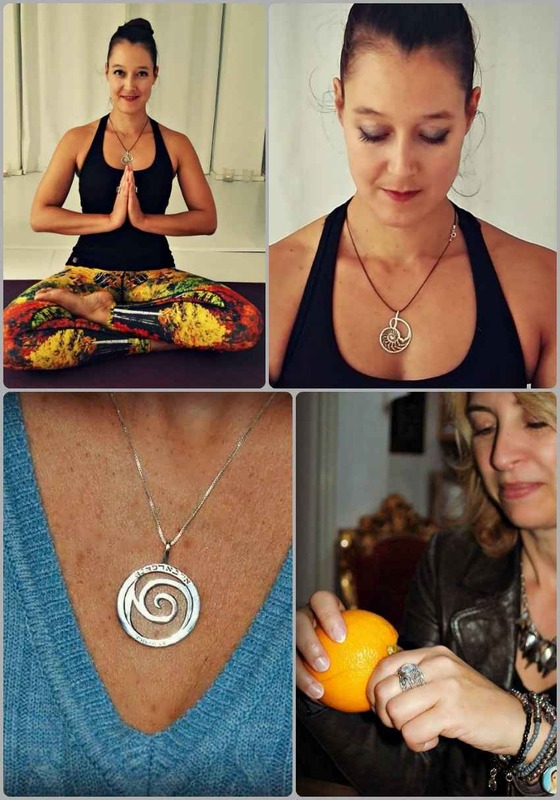 "I am writing to you my review of one of the precious jewelry pieces I purchased in my life. I am attaching a picture of it (as it looks today, after being worn with love every day for the past 4 years). 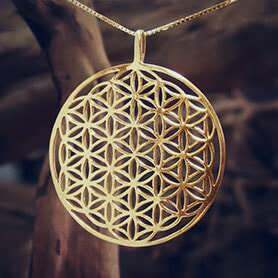 I have purchased a Silver Flower of Life Pendant in November of 2013. It will be 4 years that I have worn this piece day and night. I literally have taken it of maybe 3 times. This piece helped my (complete!) healing from Lyme disease and got me through 2 pregnancies in perfect health! I truly believe that Flower of Life is the best health balancing symbol. The energy and craftsmanship with which you made this amazing piece is felt to this day. I am so grateful for your passionate work. Please do not cease to create such magnificent pieces of work that impact thousands of people. Many, many Blessings to you and your amazing business! Thank you very much. My wife loves it. Incredible detail it has and the emeralds are so subtle and beautiful. Very happy with it and Ka jewelry’s service and expertise. We even enjoyed the packaging and literature that came with it! There is definitely a shift or change happening in the world. We are feeling it also and have been drawn to the metaphysical and new age movement for decades now. Your jewelry inspires open thought and creativity and is just so beautiful on my lovely wife’s neck. I am looking forward to conversation with those who recognize its mysticism. 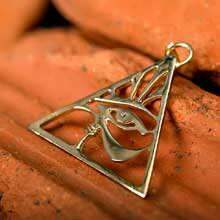 Thank you Yaron and give my thanks to David and tell him he has another happy customer"
I received my Eye of Horus pendant today, and I am SO pleased! It is absolutely beautiful and the workmanship is amazing. I've been wearing it today and several people commented on it - and asked for the website! I will certainly be ordering from you in the future. 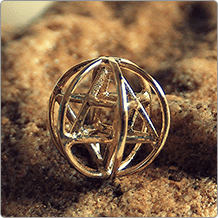 Just wanted to let you know that I received my order (Metatrons Cube) yesterday. It is beautifully crafted and well made. 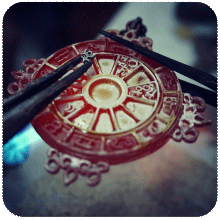 Your pieces are amazing and the attention to detail and craftsmanship is admirable. I also appreciate the fact that there is meaning and purpose inspiring your work. 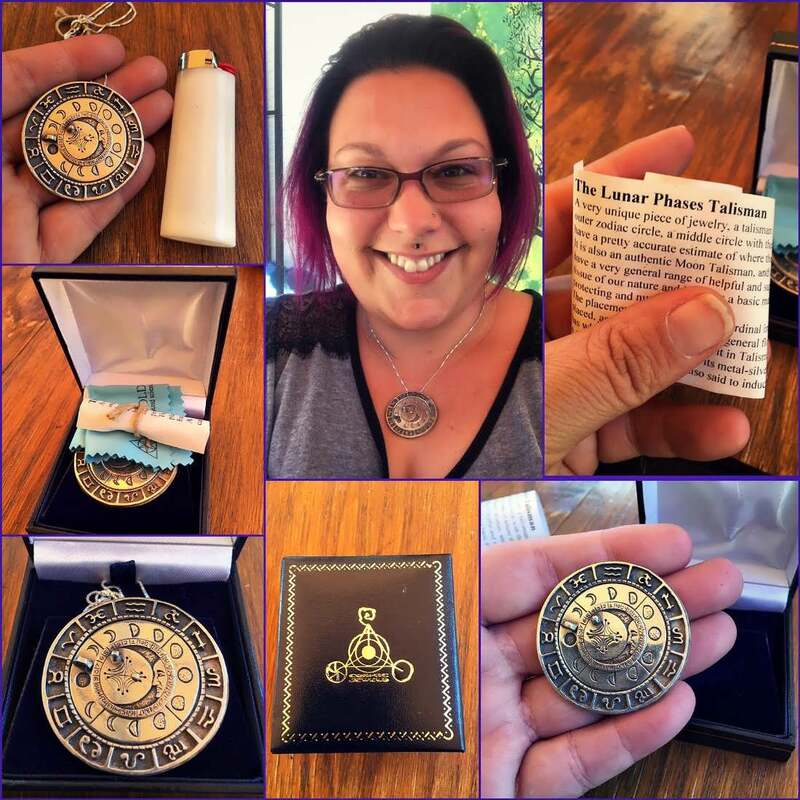 I have received my beautiful talisman today. It took my breath away and was so much more than I had anticipated. Many thanks and blessings to you and yours! I look forward to additional pieces in the future." I just would like to say, “Thank You and Bless You!” to you, David, and Ka-Gold. You guys really need to consider changing your company motto from “100% happy customers,” to “111% happy customers.” Which is a testament in and of itself. Your level of customer service is unmatched. Prompt, one-on-one, personal customer service that is first class. A lost art these days and level of commitment to a company name that is so refreshing to see and to receive. A true Seeker myself and lifelong student of the ancient writings, I was blown away when first finding you guys on not only the level of, but also the vast diversity of knowledge on key texts lost to many through the ages. 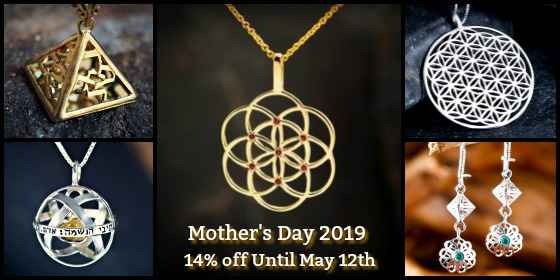 The alchemy of Ka-Gold’s range, knowledge, and insight on key obscure passages within the ancient writings in relation to the subtle energies and their applications towards specific talismans, is without a doubt the mark of a Master Maker one can seldom find in the world. David’s level of craftsmanship is exquisite. The detail, the care, the love of labor, poured in all immediately evident the second you pop open that beautiful navy Ka-Gold box. Having been fortunate enough to purchase multiple items over the year(s) from Ka-Gold, and personally been able to witness the level of consistency over that time and with such a high standard of quality... I still never cease to be amazed with each new item. 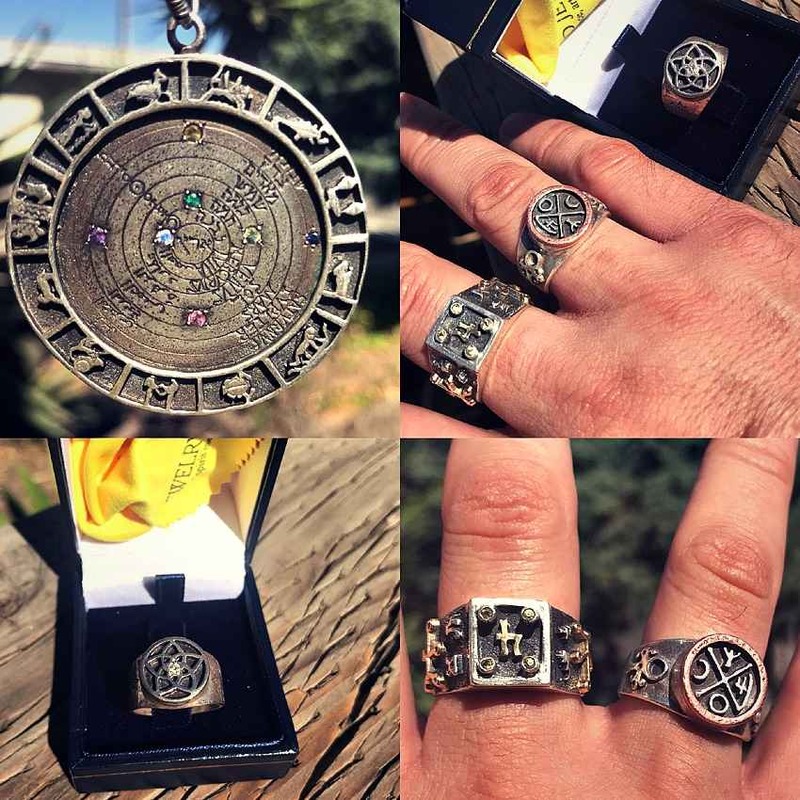 Here are photos (below) of your wonderful Jupiter-Spica Talisman Ring from 2017, The Image of the Cosmos Talisman Pendant, The Venus Pentalpha Ring, and The Jupiter-Venus Talisman Ring of 2017. 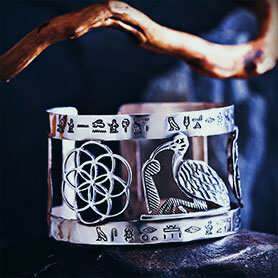 Each one absolutely amazing in craftsmanship as well as precision of craft regarding the charging of these talismans with the subtle energies. 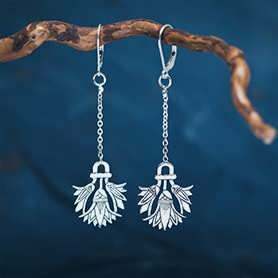 Each item blessing so much in my life with their unique given abilities to channel said subtle energies and their corresponding characteristics. My hat goes off to you, David, and Ka-Gold Yaron. 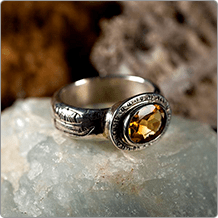 I am so overjoyed to have found your excellent services and plan on considering myself a lifelong client of Ka-Gold... Here’s to the Mystic Life, Bless you guys! "